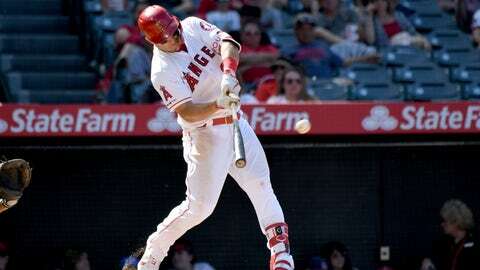 ANAHEIM, Calif. (AP) — Texas Rangers relievers found themselves dealing with the wrong kind of buzz Sunday, first from bees in the bullpen and then from the crowd’s reaction to another mammoth home run by Mike Trout. The Angels scored four times in the second. Jonathan Lucroy had an RBI single, and Zack Cozart was hit by a pitch to tie it at 2. David Fletcher singled home a run and another scored on Tommy La Stella’s groundout.